Daito-ryu Aikijujutsu is the parent art to many popular arts. The founder of Aikido, Morihei Ueshiba was a long time student of Daito Ryu, as were the founders of Hakkoryu, Shorinji Kempo, Hapkido, and many other popular modern arts. In its purest form, Daitoryu Aikijujutsu is powerful system for self defence that uses connected body mechanics and soft movements to unbalance an attacker at the moment of contact. The core of Daito ryu, called “Aiki” is a set of skills that would interest any martial artist. Aiki makes it possible to unbalance, redirect, control an attacker while using little or no muscular strength. We practise Daito ryu as taught to us by Howard Popkin and Joe Brogna as part of the Daitoryu Aikijujitsu Ginjukai. The Ginjukai is unique among styles of Daito Ryu for its heavy emphasis on “aiki no jutsu”, or the techniques of aiki. This style of Daito Ryu emphasizes a softness of touch that is highly effective in unbalancing, redirecting, and controlling an opponent. These high-level techniques render your opponent powerless upon the initial attack while using minimum physical effort or force to control the opponent. These aiki no jutsu techniques are rarely seen by the public, and any technical explanations are difficult to be found in video or publication. Joseph Brogna and Howard Popkin founded the Daitoryu Aikijujitsu Ginjukai to continue the traditional teaching and training of Daito Ryu as taught by the late Seigo Okamoto. Students of aikido and other martial arts regardless of rank can benefit from the concepts of aiki practised in this martial art to enhance their own arts. We operate as a not-for-profit organisation, run entirely for the benefit of our members. We welcome new members. 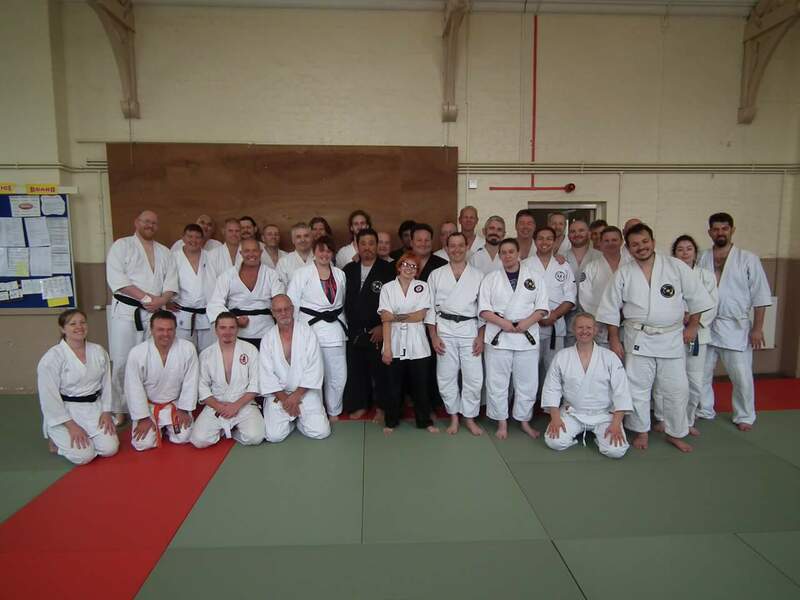 If you are interested in training in Daito ryu, would like to join our study group, or host a study group session at your dojo, please use the contact page to get in touch with us.